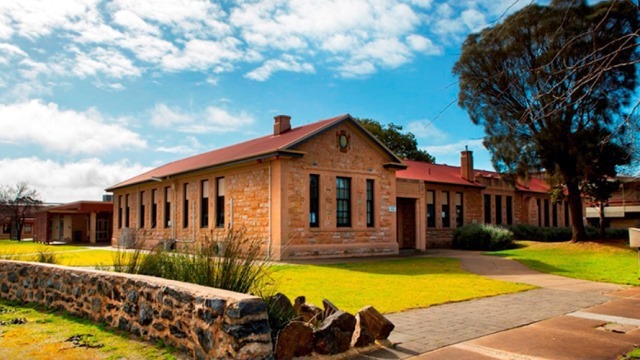 Nuriootpa High School is situated in the Barossa Valley, approximately 80 kilometres from Adelaide. The school opened in 1935 and over the last 10 years enrolment has averaged approximately 900 students. Areas serviced by the school include Truro, Keyneton, Rosedale, Greenock, Nuriootpa, Tanunda, Angaston, Lyndoch and Gawler with many students travelling to and from school by bus. The Barossa Valley has a strong German heritage. There is also a great diversity in the socio-economic status of the students and their families. The school has a strong tradition of success in Humanities subjects (especially History) and excellent results in the Research Project. One of the features of the school is a war memorial dedicated to the memory of ten students who enlisted in the Second World War and made the ultimate sacrifice. In 2012, another ex-student was killed serving with Special Operations in Afghanistan. These students are commemorated in regular ANZAC Day and Remembrance Day services. In addition, we have a strong association with the local RSL through mutual guest speaking presentations, school assemblies and the Premier’s ANZAC Spirit School Prize.